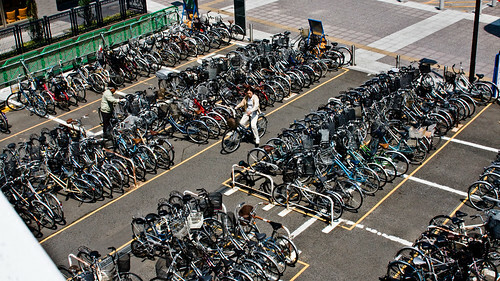 Like any country saturated with bicycles, parking is often the key. In the city of Fukushima, 250 km north of Tokyo, I was impressed at how orderly the parking was outside all the shops and outside the train station. 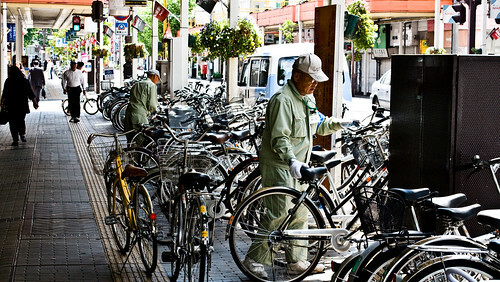 Then I noticed the lovely older gentlemen who serve no other function than to straighten up the bikes so they look nice and take up as little space as possible. In the top photo, the lady parked her bike, locked the wheel lock and headed off. The man sauntered over and straightened it every so slightly. 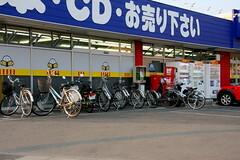 Even a local supermarket in Fukushima has loads of bikes. 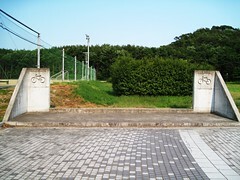 And while this bike parking area is empty, it looks rather impressive. It was at a sports centre on a weekday, so I'm sure it gets filled up at other times. 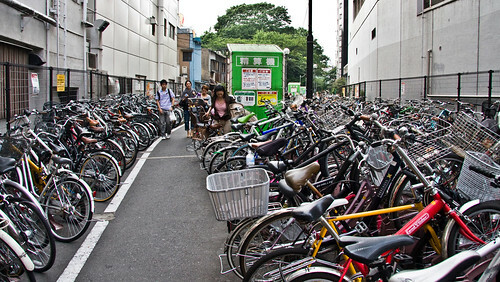 In Shibuya, Tokyo, finding a parking spot for your bike is as hard as it is in Copenhagen. Nevertheless, the rows were orderly. 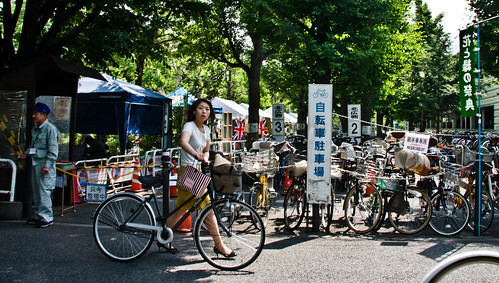 I can't remember the name of this Tokyo train station but there was loads of parking and you could pay for the area behind the girl - a modest 100 Yen - or continue on to the other unattended area. 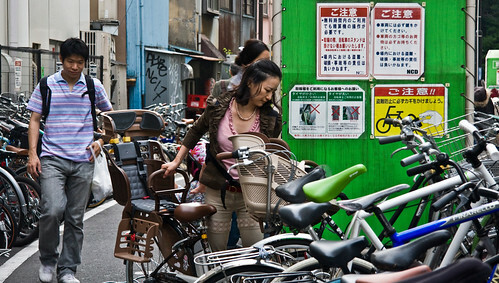 Impressive to see so many 'mamachari' bikes with their kids' seats. 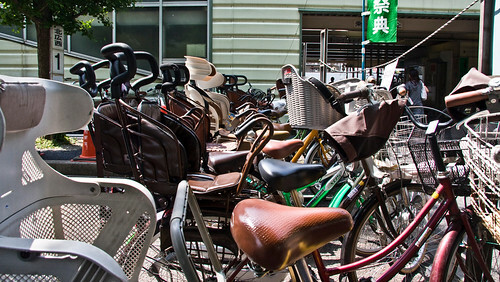 We just blogged about these 'mama chariots' over at CopenhagenCycleChic.com if you're interested.